Step Counter is a wonderful app to keep a healthy lifestyle. This pedometer uses the built-in sensor, that will help you in counting your steps. It has a great battery capacity. It tracks your burnt calories, walking distance and time, etc. The details are displayed in graphs so that you can measure your progress. Press the start button and count your steps. It can auto-record your steps; where ever your phone is, in your hand, bag, pocket or armband, even your screen is locked. 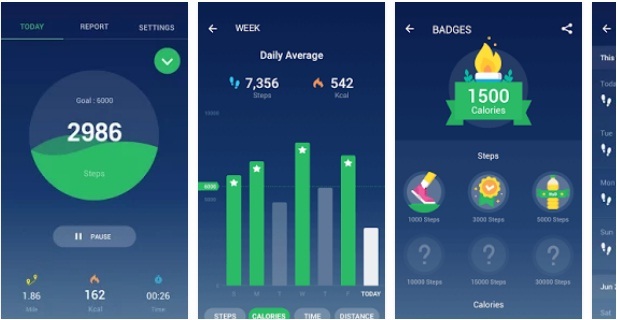 This app helps to keep your health in condition. The steps will be recorded. You can increase your steps every time you find fluctuations in your weight and calories burnt. Download Step Counter and enjoy a healthy life.